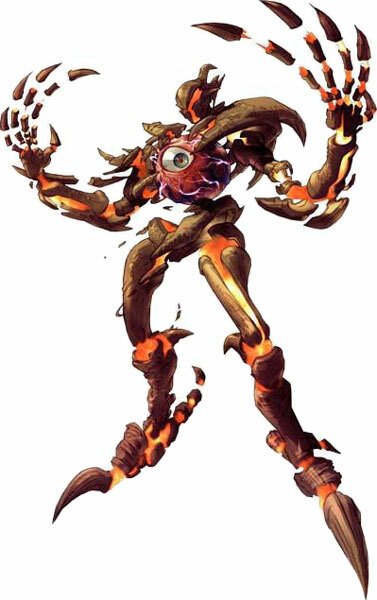 Charade is a Mimic character that debuted in the arcade version of SoulCalibur II (2002) and returned only as an unplayable opponent in SoulCalibur III (2005). Charade is also a minor enemy in Namco X Capcom (2005) a crossover SRPG that was only released in japan. Charade is basically a mix of Mokujin with SoulEdge. It changes its weapon and fighting style with every round and has no own moves. In SoulCalibur III where it also serves as a special enemy, it can appear without its torso or just as the floating eye and can shoot lasers from it.